Have any of you tried mineral make up? I only started using it last year and now I use it on a daily basis. 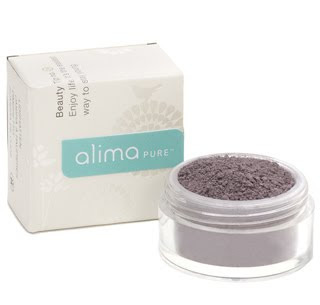 I had a chance to review some products from Alima Pure. Their mineral makeup uses only the purest cosmetic-grade mineral pigments and no added fillers or fragrances that can irritate your skin. Just like their name, you are getting the pure and simple mineral makeup. To welcome in 2010, Alima Pure has introduced a Limited Edition Yoga Collection to fit in with many of our new year’s resolutions- to calm and center mind and body. This collection was created with the intention of bringing calm and balance to your morning routine. I could use some calm right now with all the stress in my life so every little way helps! Plus, the colours are very pretty!! This collection is eyeshadows that give a unique finish- in between matte and shimmer- depending on the lighting. In the sunlight, you will see the shimmery effect, yet in regular lighting, it’s more matte. Very interesting indeed! I received a sample size set of the Limited Edition Yoga Collection. Alima Pure sells full-size sets to the general public and the sample size was just for my review. About the colours, I loved that they are warm shades which tend to look better with my colouring. It contains four eyeshadows Asana (light peach with a hint of golden shimmer), Namaste (warm rosy shade touched by bronze shimmer), Mantra (soft-blue green sparkled with gold) and Vinyasa (medium, neutral brown with sparse shimmer). Even the names are cool even though I am not 100% sure on the meanings! My favourite shade was Vinyasa hands down. I loved the colour and it was perfect for me- not too dark and just the right amount of shimmer. Actually, all the shades were nice and were easy to apply. Mineral makeup must be applied with care since it can get messy if you are in a rush. The Limited Edition Yoga Collection is sold exclusively at www.alimapure.com and is available for a limited time only. It costs $25 and $2 from every purchase is donated to the Global Fund for women. So not only can you buy a nice set, you can also give money to a good cause. The full line of products from Alima Pure is available online and in select boutiques and spas. I really like this collection and would suggest you give them a try if you are looking for some gorgeous shades. 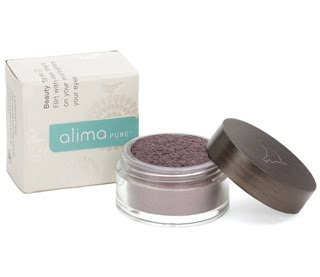 I would love to try other mineral makeup from Alima Pure!